When it comes to your gym game one thing's for sure, you either love it or loathe it. Lucky for me I'm in the happy camp and love to workout. Whether it's barre class or spin, taking the time to exercise your body helps strengthen and lengthen you not just physically but mentally and spiritually as well. So if you're going to do it, what's more fun than looking cute while you're staying fit, right? These are some of my favorite looks for gym time. 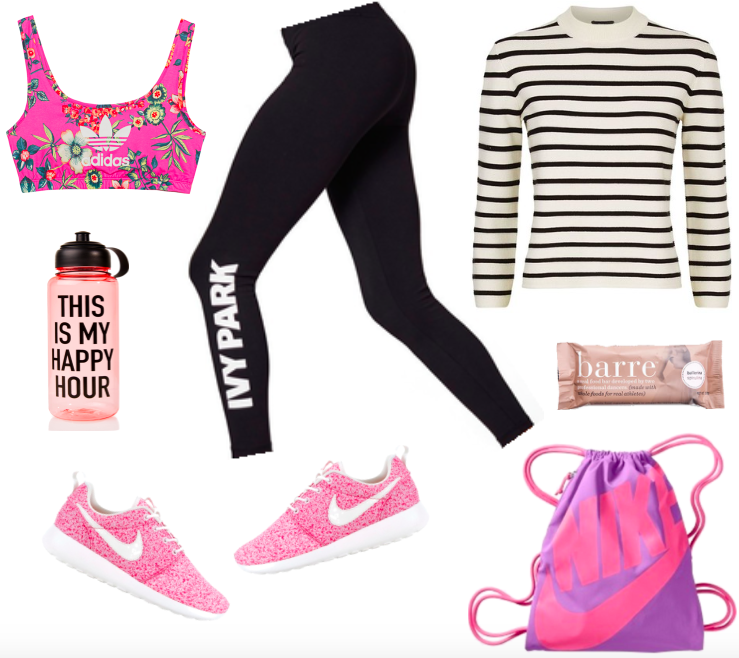 From Nike to Ivy Park and basic black to happy pink...the choices are many. This tank is just adorable. I'm also loving these light as air sneakers. They are so cute that you'll want to keep on wearing them straight through the day. Basic baseball caps are perfect for slicked back ponies and this gym bag is just adorable. I've linked my faves in the thumbnails below. Hope you are having a great week...thanks for stopping by!